In this residential project, the impact of the sun path was carefully studied, especially to place the swimming pool. One more time, water takes a big role in the creation of this house. This time the swimming pool is elevated from the ground creating a glass wall that allows views from within and the outside, creating views from different points in the house and focal point outside the house. This new house in Argentina is formed vertically having a shifting effect. The bedrooms are located in the east overlooking the heart of the house, the garden. The last floor places a spa; having a jacuzzi, sauna and a gym with an exterior space. Privately settled for the couple. 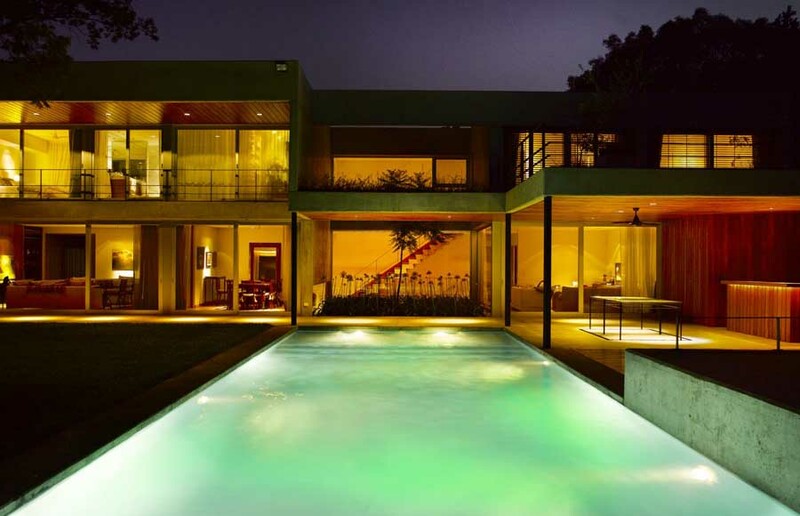 This contemporary house design goes beyond the rigid setting. It translates the urban setting into a natural setting subtlety. It pushes the boundaries of the conventional urban home to a spacious living where one has the best of both, the natural and the urban setting.